July | 2015 | Whose Education Is It Anyway? There has been a lot of interest recently in the importance of engagement in the workplace. My view would be that this is not as generation influenced as some commentators would believe and has to be looked at as part of the bigger picture. Emergent trends such as the rise of holocracy, and apparent disappointment with it, can be seen as part of a growth in thinking, again, about the nature of work. Even if it is easy to see holocracy, itself, as the latest management fad. The rise of the ‘manager class’, seen in many fields (including Chinese Higher Education), seems to be slowing through association with unnecessary bureaucracy. Therefore, we are left with valid questions about what the alternatives may be. Some politicians would have you believe that workers are no longer exploited, the argument from many quarters would no doubt be that without some kind of partnership model for all staff there remains inequality and a lack of engagement. If we consider organizational knowledge management, in the format it has emerged around SharePoint solutions at least, as reinforcing silos in organizations through endless permission setting. The ‘circles’ of holocracy and alternative structures offer an appealing alternative. Indeed If we consider the future to be that of ‘learner workers’, not ‘knowledge workers’, then we can perhaps go so far as to say the individual finally moves to the position of prominence beyond any kind of team structure. There would be additional options here, data can now be gathered and presented in so many ways that an appeal by the workforce for more engaging workplaces and better representation will likely come at a cost of closer (and often automatic) scrutiny. This is all in an environment where the ‘war for talent’ might be hotting up with demand outstripping labor supply in some markets. In the UK at least this will likely result in further brain drain from public sector austerity and then more finger pointing when public expenses come in over budget, projects delayed and seemingly using never ending streams of temporary staff (from high-end consultants to the large volume of agency nurses plugging NHS staffing gaps). There are plenty of suggestions for ways to engage the workforce, such as opening the books, to make people better understand their influence on the bottom line. The challenge is that many options come back, again, to the ownership model and if that supposed end to exploitation sees a future of joint ownership rather than one of zero hour contracts, freelancing and uncertainty. This all obviously has huge implications for any local learning and how fit for purpose models such as PLC will be going forward. 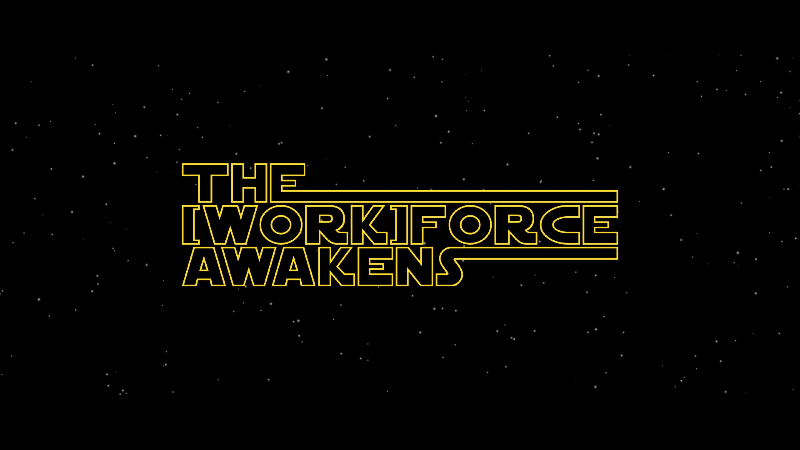 L&D can play their part, but the post-recession awakening in high demand jobs is only likely to lead to your people following the dark side (of more money at your competitors) if you can not fundamentally consider them as equals.